I first met with Judy at a little coffee shop near her house and I adored the way she talked about the love that she and Tim share. They were long distance for a part of their relationship and are now finally in beautiful Southern California together. Judy is working toward her doctorate (yes, she is super smart) at a university in Pasadena, so the area is one that they visit often. 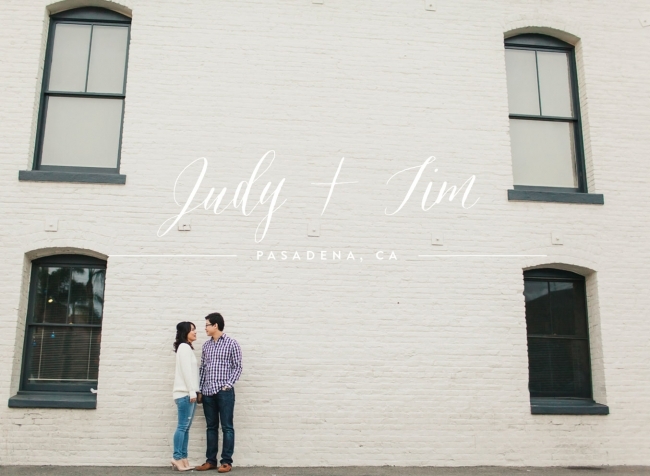 When I asked where they’d like to do their engagement session, Downtown Pasadena was an obvious choice. We started at city hall and then walked the streets of downtown and there is one thing that is undeniable: these two have some serious chemistry. 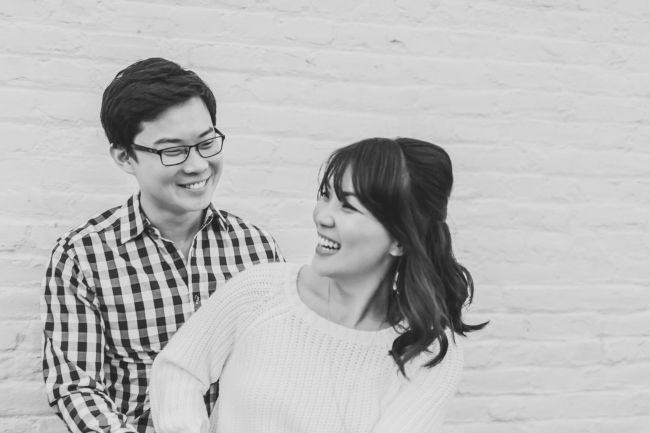 During our session we even stopped at a little coffee shop and they couldn’t have been cuter together. We had so much fun and I hope you enjoy just a few of my favorites from their shoot! Don’t you just love them so much already that you want to hug them? Sometimes I like to think that I’m funny but the truth is that these two just know how to make each other smile for days. I had so much fun at your engagement session and I can’t wait for your wedding in under a month! !